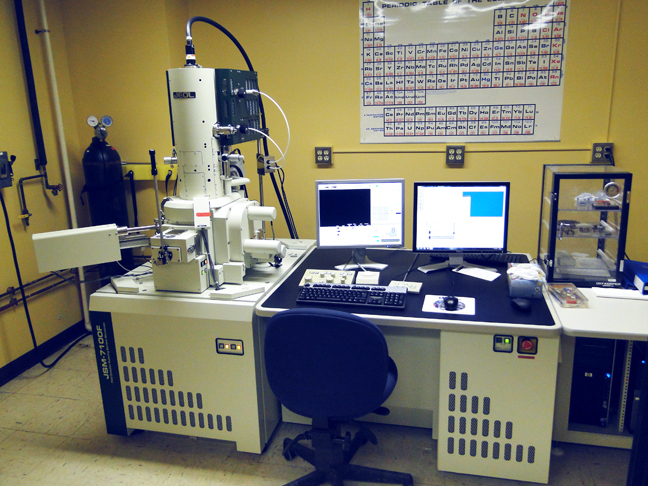 The College’s new JSM-7100 field emission scanning electron microscope will be demonstrated during an open house in the Laboratory for Scanning Electron Microscopy and X-ray Microanalysis. Friday October 10, 2014 in room B-10 Carnegie Science Building (basement level). Follow the signs from the Carnegie lobby area.